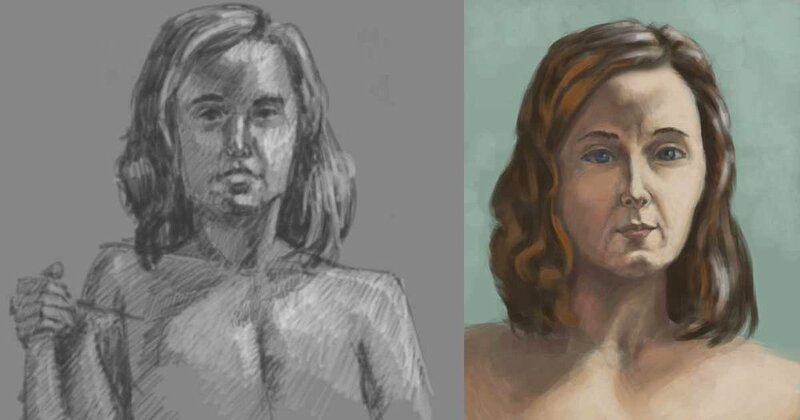 I shared some recent work from my Thursday night figure drawing session with a friend, explaining how I have been struggling with color. 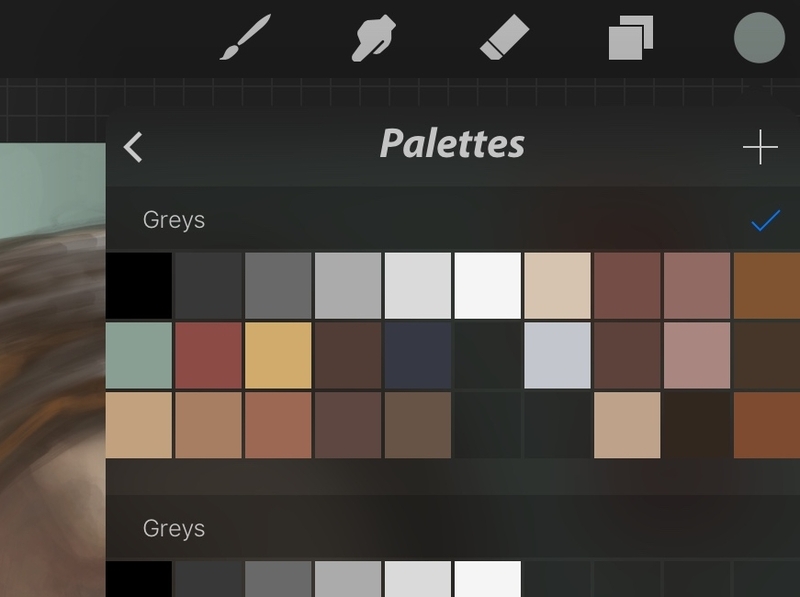 ProCreate - and really most every digital painting or drawing tool - features a big color picker which allows for you to select a colors from a wheel or sliders and add them to a palette. This can be overwhelming. So many colors to choose from. It’s hard to reach in and simply pluck out the right color. Especially for skin. Skin is weird. Skin is translucent. So when blood is close to the surface the color changes. Think of cheeks and knuckles. Skin is reflective. Colors in the room bounce off skin creating unexpected highlights. Digital color pickers offer you millions of color choices - but the palettes themselves are limited. 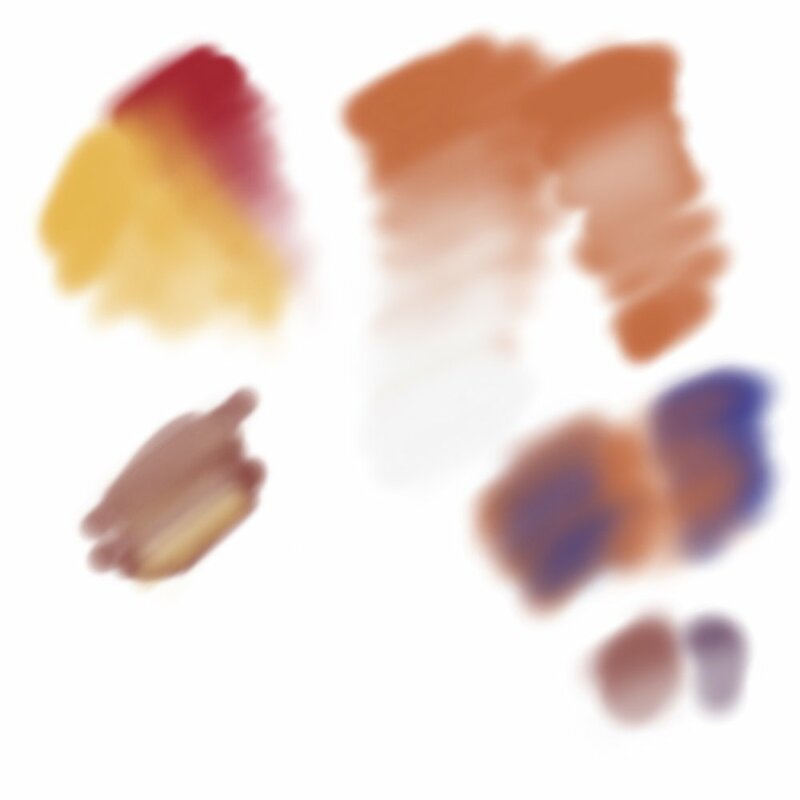 ProCreate’s palettes hold a mere 30 colors. Why not 50? Why not let me keep adding rows until I’m satisfied? I was explaining to my friend that I find the physical process of building up color to be easier. Starting with a base color or tone and adding and adjusting till it’s correct. It’s an constructive process. I’ve tried to do the same thing lately by having a separately layer free for smooshing around color. This works OK - you can’t really “blend” colors like you would on a palette - but you can overlay them with varying transparency to build up better selections. I almost want my “palette” to be a separate ProCreate file, right under the color picker, with layers, and what not. Where I can select pure hues from the color picker and layer and blend them together. I am treating pixels like paint. They are not not paint. Pixels are light. I am not taking advantage of the ways that light blends. I’m trying to force a paint-like approach where it doesn’t fit. Digital imaging express color blends mathematically, by performing calculations on the numeric representations of colors, resulting in new colors. I have been thinking in analog. When blending paint, you lose saturation and color as you add more paint. Pigments are imperfect and contain impurities. The more physical colors you blend together, the more grey or brown the color becomes. You can use this to your advantage to create subtle grey and browns by adding a touch of this or that color. The same approach doesn’t work digitally. Because it’s not paint. This is a stumbling block that I created for myself by doggedly pursing paint-like thinking in a world with mathematically calculated light.